This project included the rehabilitation of gravity sewer pipe using Ultraviolet Light (UV) Cured-In-Place Pipe (CIPP) lining. 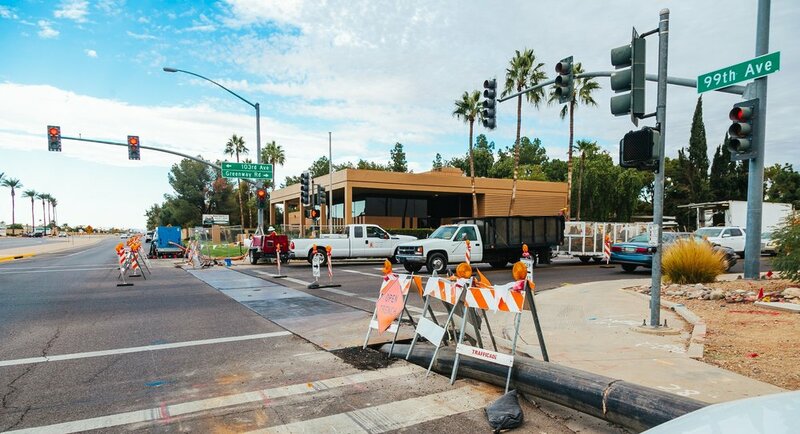 Achen-Gardner Construction self-performed the installation of 3,395 LF of 18" and 2,003 LF of 15" UV CIPP liner in Sun City, AZ under 99th Avenue from Hutton Drive to Boswell Boulevard. 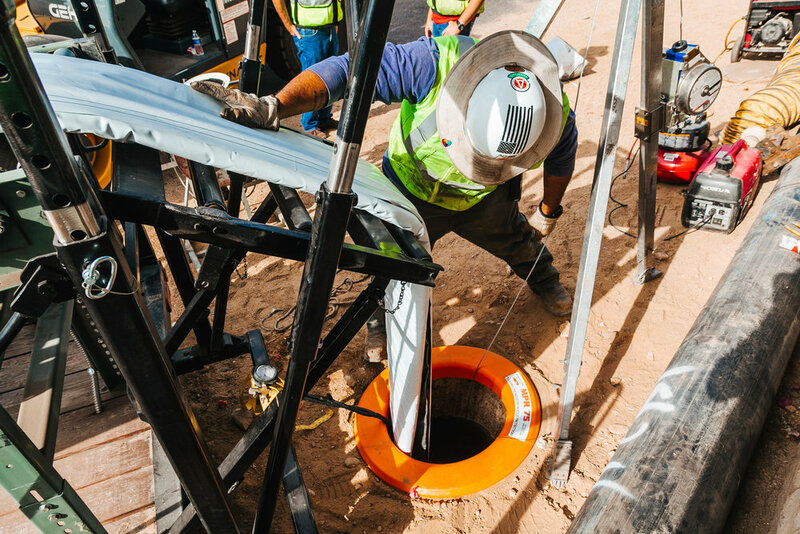 Work also included the rehabilitation of 14 manholes, temporary sewer diversion pumps, piping, and traffic control necessary to complete the work safely and comply with standards.